We all need nature: cross-country speaker series explores diverse perspectives on why conservation matters — RandallAnthony Communications Inc. Imagine Canadian nature. From rugged Atlantic shorelines to Rocky Mountain slopes and the forests and grasslands in between, our country’s natural beauty is rich and diverse. So too are our connections to nature. A forester, an artist, a scientist or a banker may all love nature but appreciate it in very different and personal ways. NatureTalks, a dynamic national speakers’ series, brings together those diverse voices to talk about our common love of nature, and how best to protect our natural spaces. The 2017 series, presented by NCC and TD Bank Group (TD), through the TD Common Ground Project, will touch down in eight Canadian cities. No two events are the same. At each stop, local voices, people who might not normally share a stage with each other, will join the panel. Conservation leaders and scientists exchange ideas with people from the arts, Indigenous cultures or corporate Canada. They will explore themes that resonate in their communities – the future of the grasslands on the prairies, water on the West Coast and the value of natural capital in the heart of corporate Canada. And they challenge the audience to join the conversation. 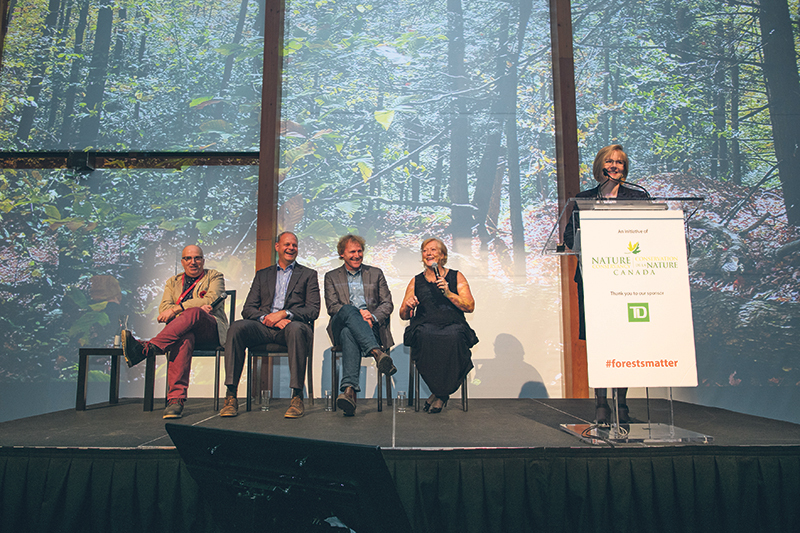 Among this year’s conservation-minded speakers are the award-winning creators of the documentary series The Water Brothers, Alex and Tyler Mifflin, best-selling Canadian author Sharon Butala, and Karen Clarke-Whistler, chief environment officer, TD Bank Group. TD has been a long-time supporter of NCC, helping to protect forested areas in Canada through the TD Forests Program. As an added feature at this year’s NatureTalks events, NCC is bringing the outdoors indoors with immersive video features. Audience members will have the opportunity to explore through virtual reality displays some of the 2.8 million acres (more than 1.1 million hectares) NCC has conserved. “The NatureTalks series is building a conservation community and encouraging Canadians to think about the country we want to leave for future generations,” says Mr. Lounds. NatureTalks tickets are available at natureconservancy.ca/naturetalks.